Congratulations go to Ron Davies of Swinton and District CC for 1st place in the L&CPU Audio Visual Competition. He also came first in the audience vote. Congratulations also go to Mike Pill of Heswall PS, who was awarded the Jackass Trophy for ‘Beamish’. 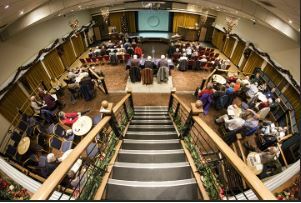 The event was hosted by Wilmslow Guild AV Group in association with the Great Northern AV Group. The L&CPU Audio Visual competition takes place this Saturday commencing at 10am with a finishing time of around 5pm. We’re pleased to announce that L&CPU clubs did well in the 2018 PAGB GB Cup. Results announced yesterday showed Wigan 10 third, and Chorley PS and North Cheshire joint seventh in the Open section. Chorley came first and Wigan 10 second in the Nature section, with Poulton-le-Fylde and the Evolve Group joint sixth, and Mid Cheshire Camera Club joint tenth position. The L&CPU Annual Club Print and PDI Competitions will be held over the weekend of 3rd and 4th March 2018. This is a new venue; It’s a tiered theatre with seating for 250. With this new venue, it is our hope we can fill the theatre with a good audience of your members, and for them to experience the judging process. The 23rd Great Northern Festival was another ‘great’ weekend with a record number of entries and attendance, we hope that all those of you who were present enjoyed your time there. Friday evening saw a presentation by Liam Sanderson, head of Film and Media Studies at the Wales High School near Sheffield. His presentation was both enjoyable and enlightening, showing the amazing progression from the students’ first attempts at film making to the world wide award winning productions produced later in their studies. The 21st PAGB Inter-Club Print Championship was held on the 29th of October 2017 at Croston Theatre, Blackburn. The GB Trophies for Prints are held each November. Every Club may enter directly, without any pre-qualification. Clubs may enter the Open Trophy, and may also enter the Nature Trophy. Awards are made to the winning Clubs. A number of awards are declared for individual images. 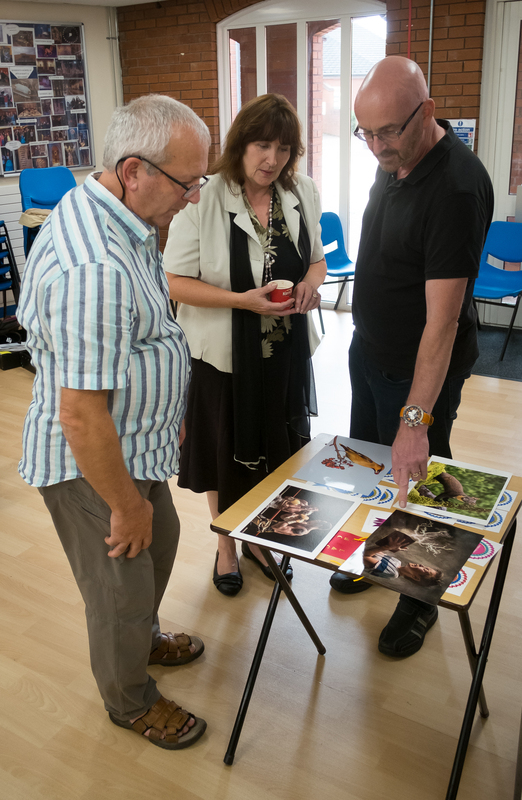 A significant selection of prints are placed in albums for display at PAGB events. Read more on the PAGB web site. by Editor • 10th May 2017 • Comments Off on Annual Individual Competition Results! Judges – 2017 Annual Individual Competition. 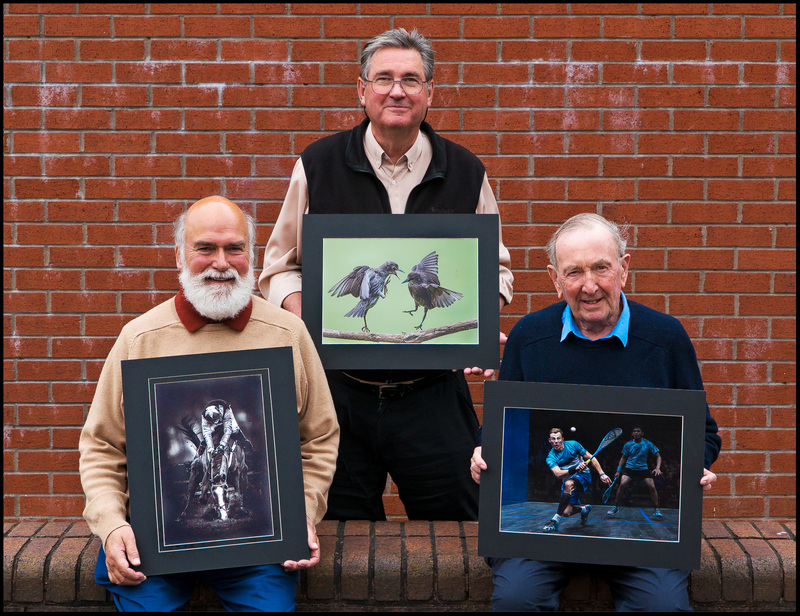 (l-r) Leo Rich, Duncan Hill, Jim Marsden – holding winning prints from Phil Barber and Terry Donnelly. Last weekend, the L&CPU Annual Individual Competition was held at a school in Lowton. Winner of the top award of Photographer of the Year goes to Philip Barber MPAGB BPE5, and the L&CPU Exec congratulate him on his win. Runners up were two relative unknowns – Adrian Lines MPAGB FBPE ARPS and Christine Widdall MPAGB EFIAP FBPE! The competition was judged by Leo Rich APAGB, EFIAP/g, ARPS, Duncan Hill MPAGB, EFIAP and Jim Marsden FRPS, APAGB, EFIAP.